Everyone knows that dark, icy winter roads are the worst. Right? Wrong. Stats and studies make it clear that our summer roads are deadly dangerous. Now, more than ever, is the time to spread the word to slow down, drop the phone and share that summer road. Sunny Days: Sunnybrook Hospital physicians now suggest that bright, sunny days play a shocking role in car crashes. Bright sunshine days hike the risk by approx 16%, across the board for all demographics, and can't be explained by glare at dawn or dusk. Possibly our judgment is skewed by bright sunlight so we feel that need for speed. When we assume the driving is good, we drive faster. Check that speedometer and obey speed limit signs even when driving conditions are perfect. Sunshine is linked with an increased risk of a life-threatening motor vehicle crash. (From Abstract Jan.2017. 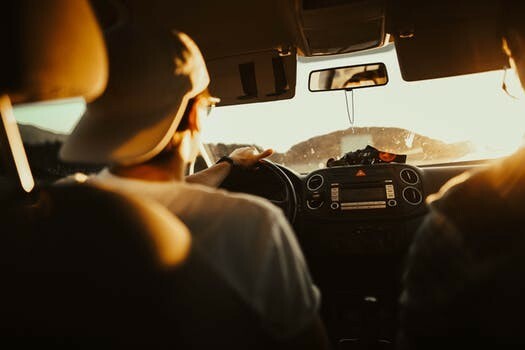 Life-threatening motor vehicle crashes in bright sunlight, Redelmeier DA, Raza S. and Your Health Matters, Refresh your driving safety in time for the summer sun, May 15, 2017, Alexis Dobranowski). Looks are deceiving. Winter isn't that bad after all. Summer, and it's gorgeous bright sunshine, is the one to watch for. So let's make hay while the sun shines and drive safe for everyone's sake this summer. Pass it on to family and friends. Spread the word so everyone can arrive alive this summer.